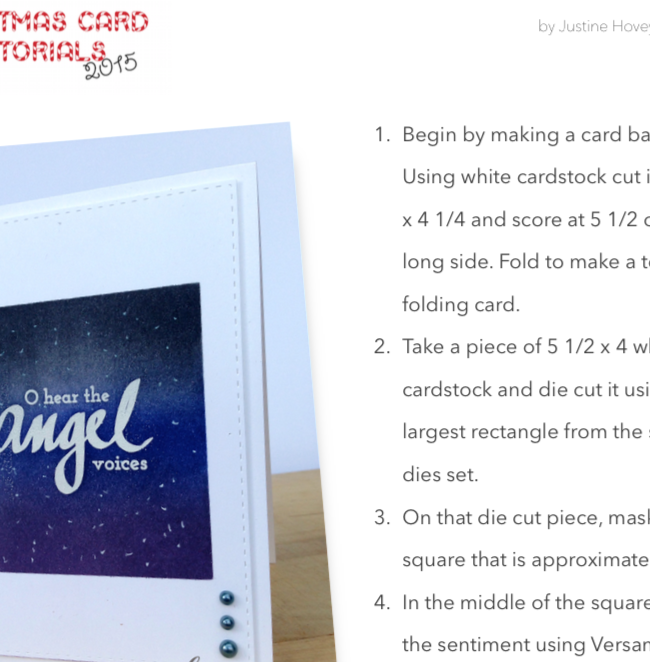 Yesterday already marked the end of WEEK 1 from my Christmas Card Tutorials Class 2015! The ladies have created some amazing artwork using the techniques they had learned! We are having a blast so far. You should think about joining us! You are welcome to sign up anytime, but the longer you wait, the more prizes you will miss out on. 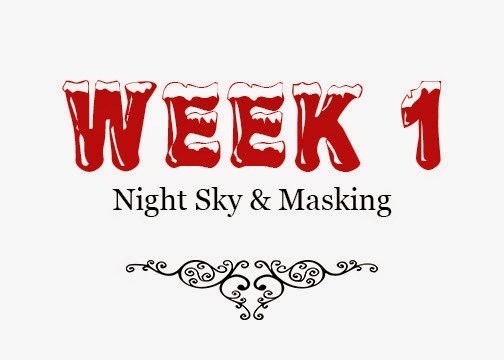 Last week we focussed on some pretty masking and night sky techniques. 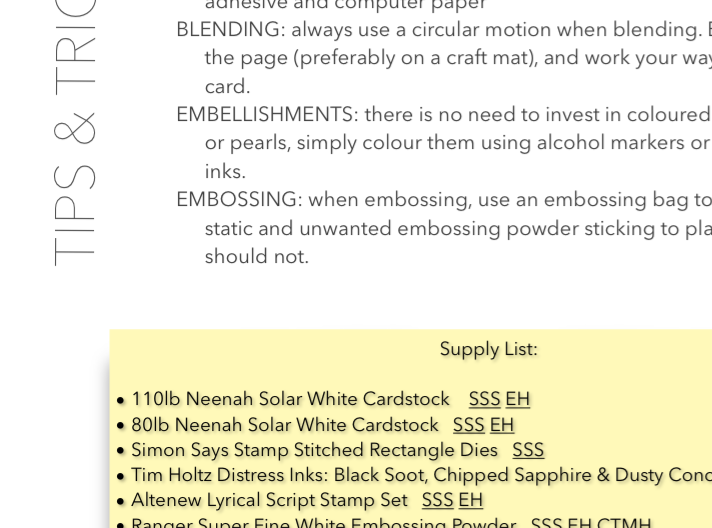 The class received a full colour PDF instruction guide (sample below), a video tutorial, a supply list and an opportunity to win a prize! 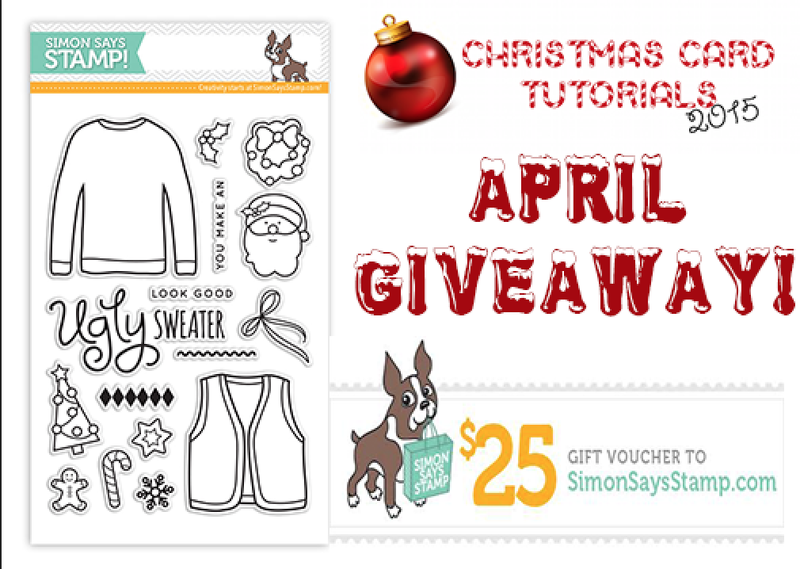 Thanks to our sponsor for April: Simon Says Stamp! Come see what the class has created! 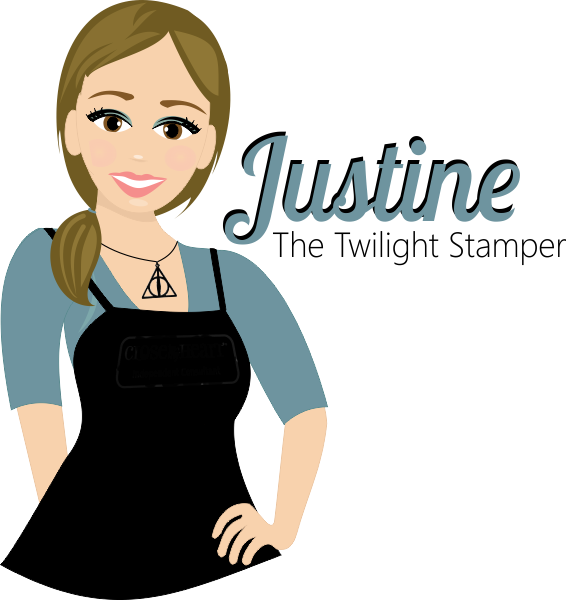 Follow Justine's board Christmas Card Tutorials 2015 Artwork on Pinterest. Hope you will come craft with us!